Let us revisit my friendly reminder about the need to register before you attempt to post a comment on this blog. Even though the requirement is prominently posted at the top of this page over on the right-hand corner, some of you have not seen it or ignored it, or both. Several of you have attempted to post as "Anonymous', which is an unacceptable moniker for this blog. It creates too much confusion, so please just be clever and pick a different handle if you don't want to use your own name. If you select one that is already taken I'll let you know. Recently someone tried to post using an un-registered moniker and I just rejected it without reading it... we've had plenty of time to adapt and there is that reminder at the top of the page. However, this person - obviously someone who supports your mayor and is operating with a VERY limited vocabulary and a significant unfamiliarity with the English language - later tried to post again, using the same moniker. This time, though, he or she just raked me over the coals for not posting the earlier piece. I went back and read it and would have posted it if the person had bothered to register. However, because that requires him or her to identify themselves to me, I know that will never happen, especially now, after the load of foul language included in the last one. Amusingly, this person accused me of failing to post opinions different than mine, which all of you reading this blog for some time know is just not true. I WANT this blog to be a place where ALL sides of an issue can be discussed. But, the gutless anonymous cowards out there just refuse to participate. If they can't hide behind a tree and spew epithets, then they won't participate at all. So be it. 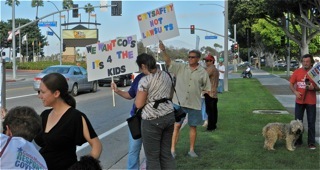 The Orange County Employees Association (OCEA), which represents the Costa Mesa City Employees Association (CMCEA) in its lawsuit against the lawsuit filed against the City of Costa Mesa for what they contend were illegal layoff notices sent to more than half the CMCEA membership over two years ago, has announced a new phase in that lawsuit. According to a press release issued today, the full text of which is below, the current judge handling the lawsuit, Judge Luis A. Rodriguez, issued a qualified rejection of an amended complaint filed by the CMCEA, but also allowed the employees to amend their complaint. The ruling also vacated the January, 2014 trial date and established a Case Management Conference in December. 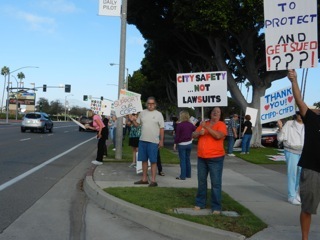 COSTA MESA As one of the first actions marking a new phase in the litigation between Costa Mesa employees and the City of Costa Mesa since the City withdrew layoff notices to more than 200 employees earlier this year, a Superior Court judge this afternoon issued a qualified rejection of an amended complaint filed by the Costa Mesa City Employees Association. But Judge Luis A. Rodriguez also allowed the Employees leave to amend their complaint to allege additional facts about the City’s outsourcing plans that have occurred over the past several months. Today’s action marks a new phase of the ongoing litigation, as the Court decides how to address the outsourcing issues in the wake of the City rescinding pink slips for more than half of its employees. The Costa Mesa City Council majority in March 2011 first issued more than 200 pink slips to employees as part of their desire to privatize City services. 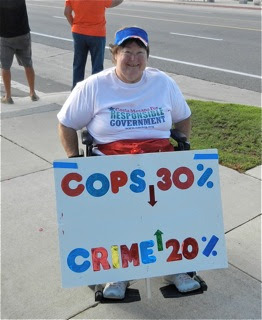 In June 2012, Superior Court Judge Barbara Tam Nomoto Schumann issued a preliminary injunction blocking the City from outsourcing to the private sector. The City appealed that decision, and in August 2012, the Fourth District Court of Appeals rejected the City’s request in a lengthy opinion, which the Court later published. The City rescinded the pink slips earlier this year, so CMCEA agreed to dissolve the preliminary injunction. CMCEA filed and amended its complaint to reflect the changing circumstances and articulate the City Council’s ongoing efforts to outsource City services. Attorneys for CMCEA will now prepare and file an amended complaint consistent with the Court’s order and comments from the bench. CMCEA will continue to protect the legal rights of its members and require the City through the Court to comply with the restraints on outsourcing municipal services confirmed in last year’s Court of Appeal decision. The Court also vacated the January 2014 trial date and set a Case Management Conference for Dec. 11, 2014. 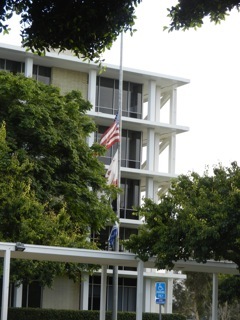 Some will recall that the Jim Righeimer-led city council violated their own council policy when they issued invalid layoff notices to more than 200 employees two and a half years ago - a move that was punctuated by the unfortunate suicide of young Costa Mesa maintenance worker, Huy Pham, who leaped to his death from the roof of City Hall. 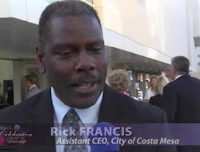 This event was to become the bellwether of things to come in Costa Mesa, where the relationship between the elected leaders and the city employees has - as unimaginable as it might seem - gone downhill since then. 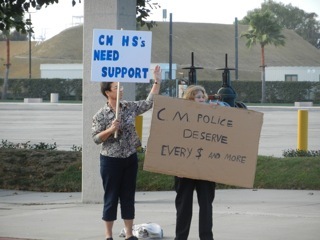 Recently the mayor and mayor pro tem has sued the members of the Costa Mesa Police Officers Association, accusing them of placing them - the elected officials - in such a fragile mental condition that they have had to seek medical attention and have suffered loss of income. And yet, they continue to show up and inflict further damage to the city in their fragile condition. I have no idea how the lawsuit will turn out, but the employees continue to fight for their rights against an administration that has created a toxic workplace for most employees to the extent that we have seen many seeking jobs in other municipalities rather than remain in our city. This bogus plan is finally coming home to roost, though. City CEO Tom Hatch announced a $7 million budget surplus at the last council meeting, then followed up by also announcing that the city is unable to provide the level of service expected by the residents and necessary to keep the business of the city running properly, so an increased recruitment effort to fill the 44 authorized, open vacancies will be undertaken immediately. We presume that includes the many vacancies in the police ranks, although the hiring process for those positions can take a year or longer. The current elected leadership of our city - specifically Mayor Jim Righeimer and Mayor Pro Tem Steve Mensinger - have demonstrated over and over again that they are incompetent to manage our city. 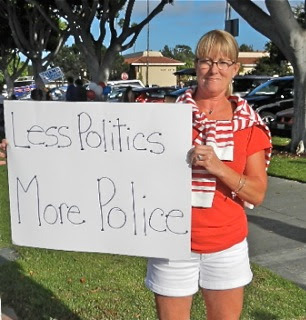 Their priorities are clearly out of line with wishes and needs of the residents. They place filling potholes well ahead of providing a safe city for residents, visitors and businesses - and crow about it, too boot. They have created an environment where corruption can thrive and rules designed to protect our precious municipal assets are routinely ignored. These men pontificated about running our city like a business, but apparently neglected to tell us they meant failed businesses. 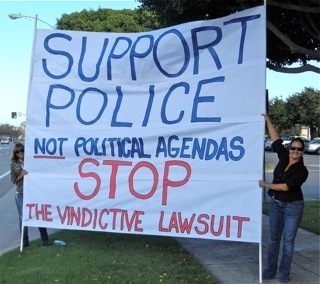 They are responsible for racking up millions of dollars in legal fees to defend their actions - all straight from city coffers. They seem on course to saddle our city with municipal bankruptcy - going so far as to have one of their hand-picked committees receive a municipal bankruptcy workshop - to fulfill their goals of busting employee organizations. They have demonstrated, by their actions, a cavalier disregard for the well-being and reputation of this city - placing it a distant second to their personal political goals. One can only hope that a slumbering electorate will finally be shaken awake and begin paying attention to the damage these men are doing to our city and make the changes in the voting booth necessary to restore this city to it's position as a city to be admired for its accomplishments, not ridiculed by neighboring leaders. 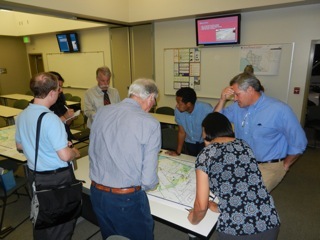 Wednesday night forty people attended the most recent workshop on the Costa Mesa General Plan Update at the Emergency Operations Center near City Hall. 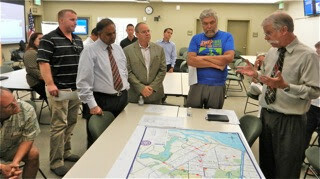 This event, ramrodded by Transportation Services Manager Raja Sethuraman and jointly-facilitated by consultant Rock Miller of Stantec, focused on the Bicycle segment of the Circulation element of the General Plan update. You can read the agenda for the meeting HERE. Sethuraman kicked things off, then tossed the ball to Miller who guided the explanation of the bicycle portion. 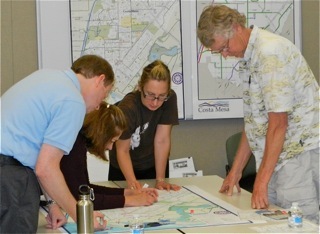 The attendee then went through an exercise in which they discussed their wishes for improvement of Costa Mesa's bicycle friendliness. 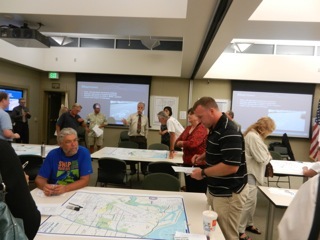 The scrawled suggestions for things they would like to see included in the General Plan on maps depicting the current layout of bicycle trails in the community, which were then compiled by Miller and the other consultants present. The turnout was good. 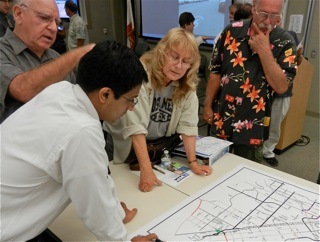 The city staff was represented by, in addition to Sethuraman, Economic and Developement Director Gary Anderson, Principal Planner Minoo Ashabi, Director of Public Services Ernesto Munoz, Parks commissioners Bob Graham and Dean Abernathy and Anna Vrska, member of the Fairview Park Citizens Advisory Committee were all present. I also saw large landowners and representatives from the Building Industry Association in the crowd. This was a good workshop, from which much excellent input was gleaned from the participants. The final circulation element workshop will be held at the same place, also at 6:00 p.m. on October 16, 2013. 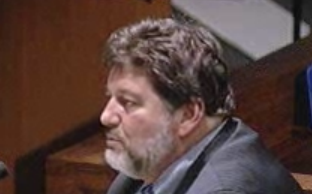 Following a long discussion of the extension of the expiring 25-year agreement with the Orange County Model Engineers, during which eight members of the public pleaded with the council to extend the contract beyond the fourteen months proposed by the Parks and Recreation Commission, it was clear that Mayor Jim Righeimer and Mayor Pro Tem Steve Righeimer wanted the recommended short extension passed. Mensinger moved to do so, with Righeimer seconded it. Councilwoman Sandra Genis moved a substitute motion to extend the contract five years and Wendy Leece seconded it. Following a VERY short discussion Righeimer smirked and called for the vote on the substitute motion... and it passed on a 3-2 vote! Genis and Leece voted yes, as did former mayor Gary Monahan! As the crowd erupted into cheers and clapping and Leece did her "V for Victory" pose from the dais, Righeimer and Mensinger looked dumbstruck and, after a long pause, looked over at Monahan as if to say, "What did you do?!" He could be heard to say above the cheering, "Five years seemed like a good compromise." And, indeed, it was! Righeimer called for a fifteen minute break and the cheering crowd of model train supporters carried their celebration out onto the council chambers porch. Shown here are a few of the happy train supporters, including spokesman Hank Castignetti in the foreground and model train buff Police Chief Tom Gazsi in the rear. This is a terrific result for everyone in the community - except maybe those who covet the space the train tracks presently occupy on the eastside of Fairview Park. In the recent past members of the Fairview Park Citizens Advisory Committee have been heard to say the location would be perfect for playing fields, bocce ball courts and baseball diamonds. The OCME folks have provided tremendous public service and deserved a longer extension than the slap-in-the-face 14 months proposed. Kudos to Gary Monahan on this one. You can read Bradley Zint's account of this story in the Daily Pilot HERE. As I mentioned earlier, the meeting began late because the council stayed 30 minutes longer than anticipated in the Closed Session meeting. The meeting included Richard Kreisler, the labor negotiator for the city, who - for the first time - reported the results of that meeting. 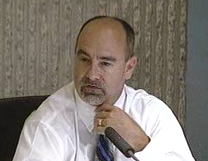 He told us that Steve Mensinger's COIN scheme required a report on negotiations, so he told us that the city spent $21.2 million in pay and benefits to the CMCEA employees in the last fiscal year. He said that if nothing had been done it would have been $23.5 million this year. He said the city's offer produced a cost of $21.5 million, but he didn't mention a word about the offer the employees made, so the COIN process has not demonstrated any value yet. Later, during his comments, Righeimer dismissed the fact that the employees had offered to "partner" with the city with a sneer. Of course, at the time he was fuming because several speakers called for him, along with Mensinger, to cancel their lawsuit against the police. He was so angry you could practically see smoke coming out of his ears as he angrily stated that he would do whatever it took to protect his family. And, amusingly, he mentioned that it was campaign time - referring to those requests as campaign rhetoric when, in fact, this whole scheme is a campaign tool to distract from the abysmal decisions they've made and the multiple scandals brewing in our city. It was an interesting evening from many standpoints. For example, it's the first time since Benito Acosta was dragged, struggling, from council chambers several years ago, we saw a resident removed from the chambers for disrupting the meeting. Soft-spoken Sandy Johnson was escorted from the auditorium by an officer after demanding from her seat near the rear of the chambers that Righeimer answer whether his scheme to squeeze the Costa Mesa Motor Inn and the Sandpiper for code enforcement violations negatively impacts our affordable housing numbers. It was an excellent question, which Righeimer acknowledged as Johnson was removed. This the effect he has on otherwise mild-mannered long-time residents. 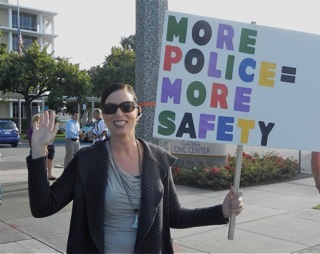 Another part of his rant included a response to criticism of police staffing. He went into another of his knee-jerk reactions and demanded from the dais that Chief Tom Gazsi, CEO Tom Hatch and senior staffers meet with him every Thursday at 3:00 p.m. from now until the police staffing levels are resolved. This is just grandstanding on his part, since the process of hiring new police officers is necessarily a very deliberate process. If you cut corners in the screening and testing process you end up with folks you don't really want as part of the CMPD. This was just a guilty reaction on his part, since he is personally responsible for the current shortfall in staffing levels in the CMPD. Shame on him! We finally got to the Consent Calendar at 8:15! We knew then it was going to be a long, long night. Criticisms were offered for charges on the Warrants, including large legal charges again. Nobody really satisfactorily answered those criticisms. Most items passed on a mass vote with the exception of the following. The discussed the proposed Housing Element Update to the 2000 General Plan at length and, even though there are some significant holes in it, passed it with the assumption that it can be revised later. To not pass it would have created huge administrative problems and probable loss of funding. The also passed Item 7, the signal improvements near the former Bethel Towers and moved on to the aforementioned Model Train agreement. We'll pick it up after that decision. At 10:00 they finally began the presentation of Public Hearing #1, the new Public Nuisance Ordinance, with Assistant CEO Rick Francis taking the lead. 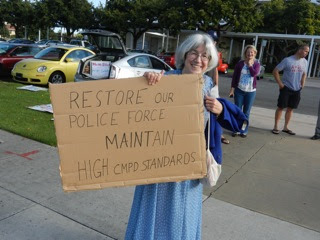 Eight members of the public spoke on this issue and most welcomed it as a way to solve significant problems, although a few expressed concern about possible abuses and the breadth of the ordinance. There were still 65 people left in the auditorium as the council voted, 5-0, to approve the first reading. It will be brought back for the second reading and some tidying-up of some of the language at a future council meeting. 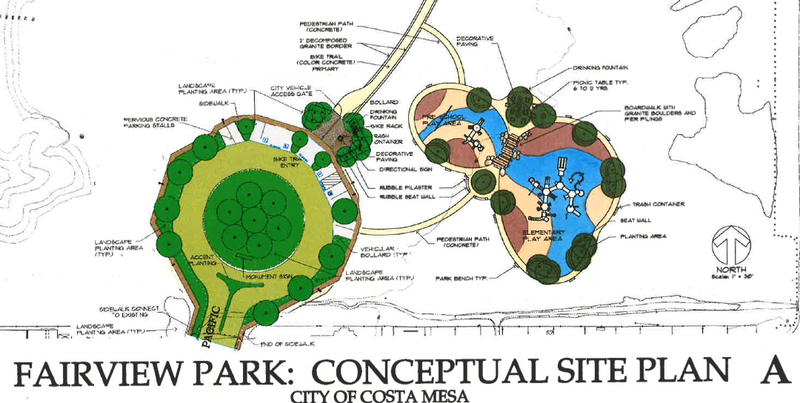 Shortly after 11:00 p.m. the council began hearing Public Hearing #2, the appeal by councilwoman Sandra Genis of the proposed "improvements" in Fairview Park near the Pacific Avenue entrance to the park. Two dozen members of the public spoke on this very contentious issue and not one of them spoke in favor of the proposed changes. Many had previously spoken to Righeimer at his "meet the mayor" event last Thursday night. 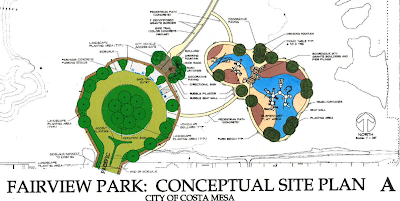 Concerns were expressed for the stability of the nearby bluffs, the actual need for such a large turnaround area and the need for the tot lot when a similar facility is located at Vista Park, a few hundred yards up Pacific Avenue. Residents were also concerned about safety, implying that a proper entrance to the park at the end of Pacific would result in more, faster-traveling cars in the neighborhood along a street with incomplete sidewalks on both sides. 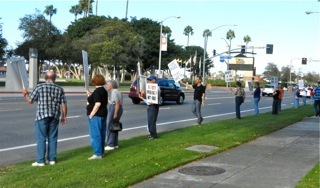 Those comments stretched until around 12:20 a.m. and the subsequent discussion stretched until 12:50 a.m., when Righeimer called for the vote to only install a turnaround at the end of Pacific with NO parking spaces, a proper entrance marking for the park at that location AND the installation of the tot lot as presently prescribed. 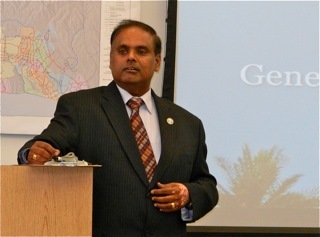 He also instructed staff to include the necessary improvements to Pacific Avenue after Public Services Director Ernesto Munoz told him that improvements are already scheduled for that street early next year. 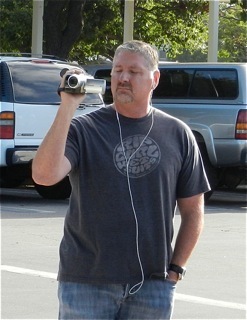 He also told them to investigate a different location for the tot lot. It passed on a 3-2 vote, with Genis and Leece voting no. It was clear as the crowd shouted out threats of political retribution and other expressions of displeasure, that not a single person who then left the chambers were happy with the vote. As I've said many times in the past, decisions made past midnight are seldom good ones. This was a perfect example. Righeimer blew any goodwill that he might have gained last Thursday night. At 12:55 we still had three items to go! And there were still 20 people in the auditorium in addition to the staff! The first two, screening requests, went OK. The third, not so much. New Business #3 was the request for authorization of an overage already paid to Cognify, a consulting firm that has been doing Information Technology stuff for the city for a year. We watched CEO Hatch dance cautiously around this issue, of course, it could have been the early hour. Regardless, one speaker listed more than $136,000 in payments to this outfit and also expressed concern that we somehow managed to pay them without following the proper approvals. Wendy Leece speculated about the coincidence that the president of the company is a major contributor to Mayor Righeimer's campaign - which had Righeimer fuming. Still, it's a good question. This is either very sloppy staff work or something else. Neither makes me particularly comfortable. The council voted to pass this one, 4-1, with Leece voting NO. That's it, folks. 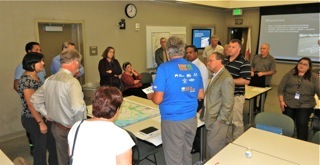 Don't forget the General Plan Circulation Workshop at the Emergency Operations Center beginning at 6:00 tonight. I'll try to drag my bleary-eyed old body to that one, too. See you there. 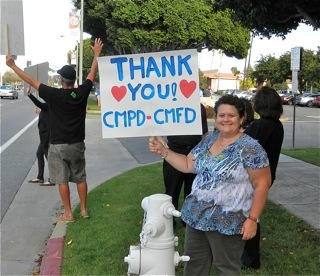 Last night, before the Costa Mesa City Council open session began, several dozen residents turned out in front of City Hall for a rally launched by Costa Mesans For Responsible Government (CM4RG) to show support for Costa Mesa's public safety staff. I counted seventy people at one time, while other reports of the numbers varied. In the shadow of the flag at City Hall flying at half-staff, cars honked, drivers and passengers called out support and the demonstrators cheered. Without further comment I'll let these photos I took tell you the story.